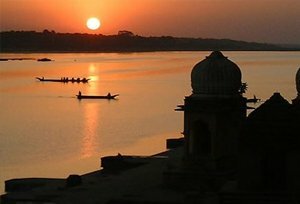 Be it historical monuments, spiritual destinations or wildlife abodes, Madhya Pradesh is a state that is affluent with plethora of tourist attractions. Places like Indore, Ujjain, Omakareshwar, Mandu and Maheshwar include pilgrimage, cultural and heritage destinations attracting the travelers from all over the country and abroad. This 04 Nights and 05 Days Indore Excursion Tour Package is a perfect tour idea for exploring cultural, spiritual and heritage richness of the state. Other than Indore, the tour also covers the destinations like Omkareshwar, Maheshwar, Ujjain and Mandu. 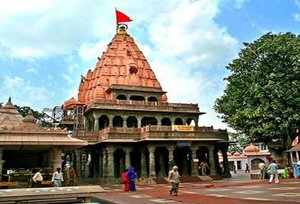 Ujjain is rich with beautiful temples with wonderful architecture. Omkareshwar and Maheshwar jointly boast 2 of the 12 jyotirlingas in India. 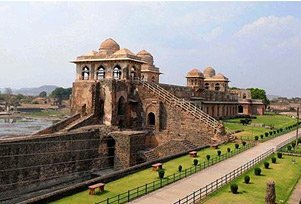 Moreover, Mandu is a home to several magnificent forts, palaces, cenotaphs, gardens, water reservoirs, temples and mosques. In this itinerary, one can also enjoy boating at the ghats such as Nagar Ghat and Abhay Ghat. Visiting numerous temples, forts and other such cultural and historic epitomes can provide the traveller with a congenial blend of gratification and spirituality. Mandu also known as Mandavgad lies in the Malwa region of western Madhya Pradesh. At present, it is a ruined city located 35 km from the Dhar city.